The end of July will be here in a flash, and with it the end of our flash fiction submissions window. But if you're a flash writer and haven't sent your submission in yet, there's still one week to go. Full submission guidelines here. This summer has been an exciting one already for V. Press, with flash fiction writers Santino Prinzi and Michael Loveday launching their new titles on Sunday in a V. Press showcase at this year's Flash Fiction Festival. 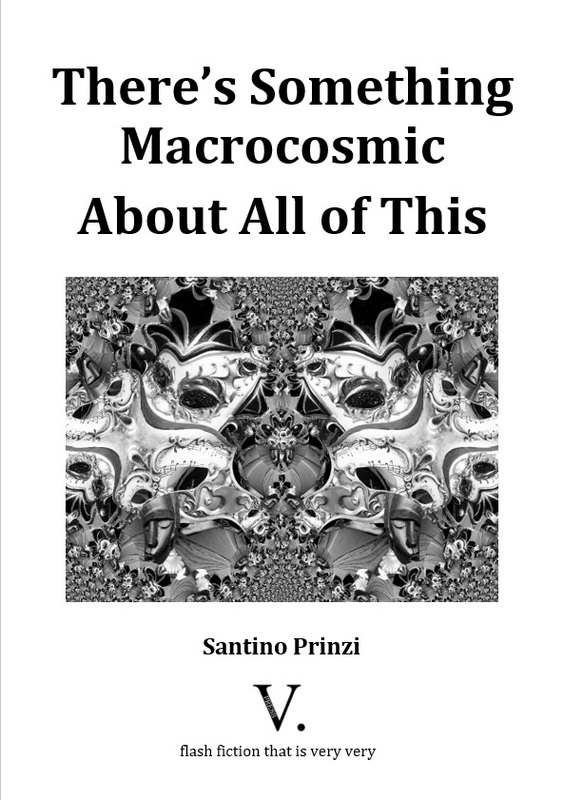 More on There's Something Macrocosmic About All of This by Santino Prinzi can be found here, while sample flashes from Michael Loveday's Three Men on the Edge flash fiction novella can be found here. 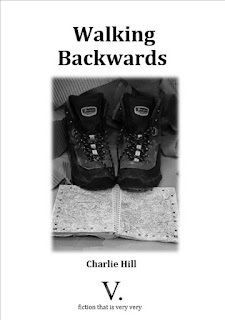 V. Press is also delighted to share a new review of Charlie Hill's fiction pamphlet Walking Backwards. "They are all part of a pleasing variety on show here. "All the best prose writers have a love of poetry. 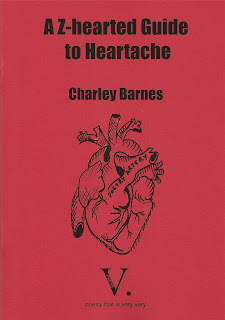 Charlie Hill is a real writer, and a very good one too." Neil Campbell, Sabotage Reviews, the full review, also focussing on specific stories can be found here. BUY a copy of Walking Backwards now using the paypal link . 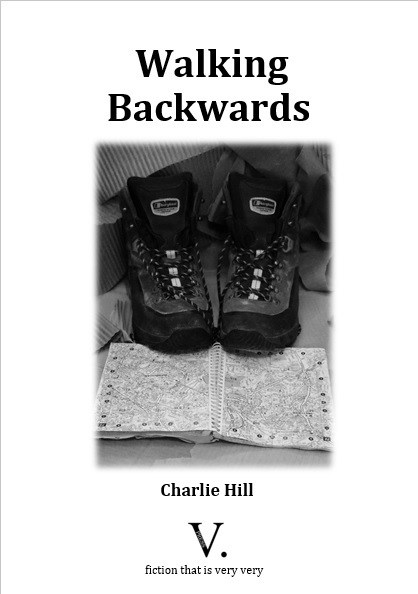 A sample story and more information about Walking Backwards can also be enjoyed here. FLASH FICTION FESTIVAL - V. PRESS SHOWCASE! We're absolutely delighted that this year's Flash Fiction Festival at Trinity College, Bristol from July 20-22 will feature a V. Press showcase. 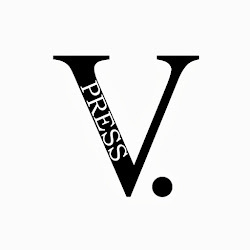 V. Press editor Sarah Leavesley presents 'A Flash Guide to V. Press' over on the festival blog here, where you can also find out more about the festival and tickets. And, on the topic of flash fiction, V. Press is delighted to share extracts from two new reviews of Three Men on the Edge. "...This book is a rummage through the storerooms of the human heart with all its fears, its passions, its yearnings, its failures, its betrayals. Part of me suspects that Three Men on the Edge is a series of prose poems with an interlinking narrative structure. But that is merely a quibble of naming. 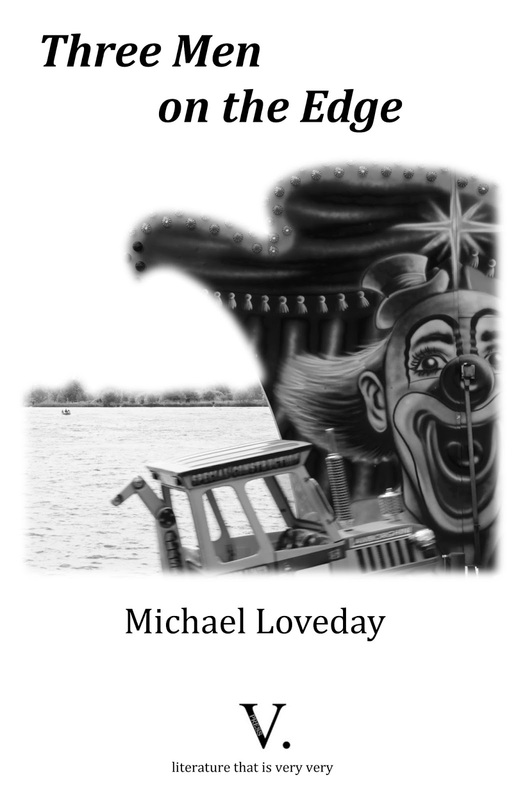 That the prose is a feast of poesy is no accident, Loveday being a fine poet as well as, now, a fiction writer." Frances Spurrier, on Volatile Rune, full detailed review here. "Clever, clean and economically written, Three Men on the Edge will surely win over those hesitant to commit to what might otherwise seem an esoteric and specialist form. Both character and place are perfectly evoked, and the sense of trauma only half-experienced is rarely far from the surface. These are men desperate to be something they are not, to be what they might have been or thought they always were, to be someone else entirely; men whose uncertain place in the world is echoed by the edgelands they inhabit. Three Men on the Edge is a triumph, and I look forward to seeing more from Loveday." Joel Hames, 5-star review on Amazon and goodreads. 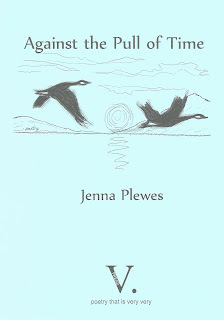 V. Press is very very delighted to share snippets from recent reviews of three V. Press titles, and our press style!!! "There is a real, genuine depth to the poetry that has a sense of the spiritual but never descends into preachy. Instead there is a feeling of the ancient about the collection and Jenna's choice of words is always quietly apt and they are always meticulously placed, clearly considered. 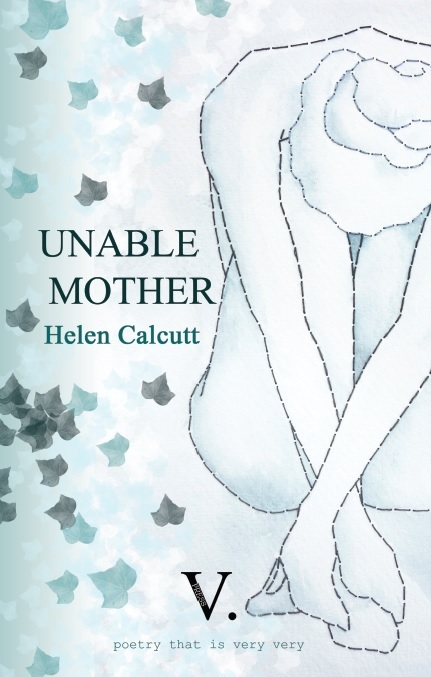 "This is very much a grown-up collection of poetry, and if it isn't seriously considered for awards in the coming months it would feel criminal." 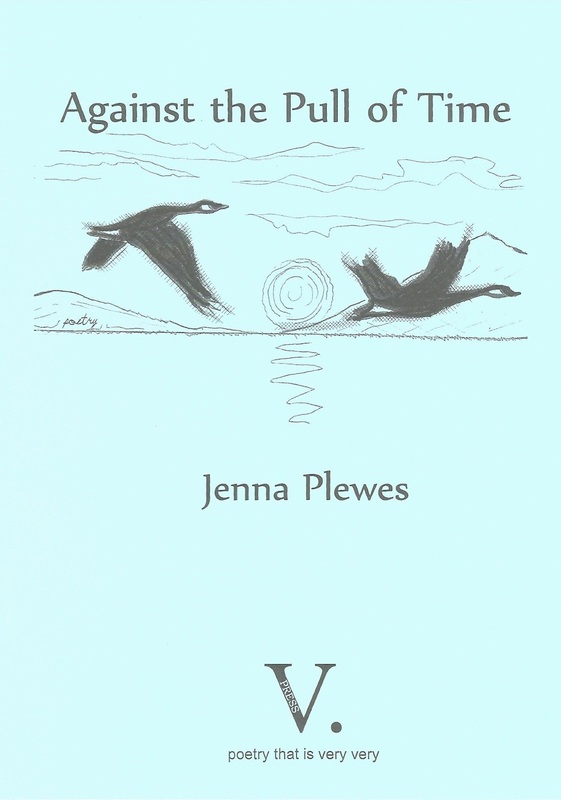 A sample poem and more about the pamphlet can be found here. "On the cover of the book, Robert Peake talks about a 'terrible and terrifying love' and that is perfectly put. 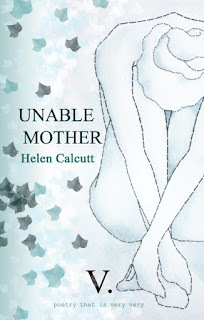 He also says that Helen's poems are 'devastatingly good', and that just about sums it up for me too." A sample poem and more about the collection can be found here. 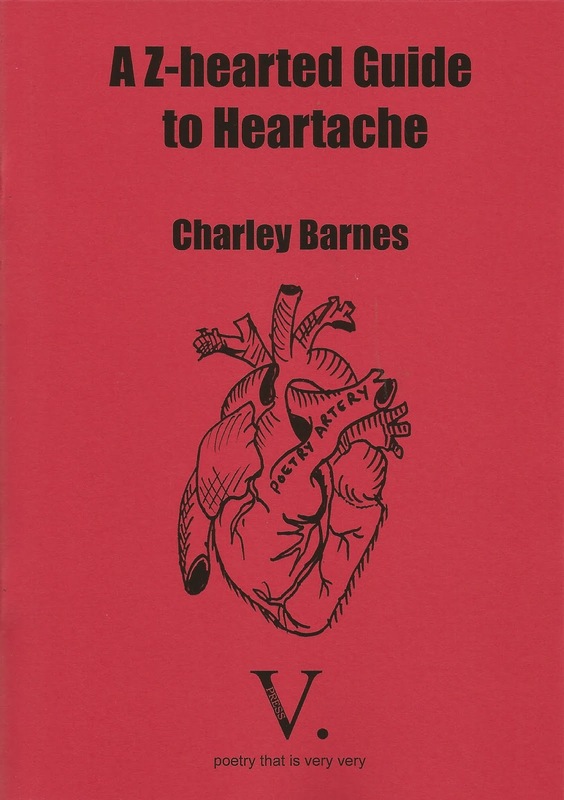 V. Press is very very delighted to launch A Z-hearted Guide to Heartache, a poetry pamphlet by Charley Barnes. A sample poem can be enjoyed below. My therapist says that’s an irrational concern. understand something it must be foreign. This worsens your ignorance; it doesn’t excuse it. sentences with ‘My therapist says’ to legitimise my claims. ambiguous, but also the only way I can get anything done. How does where we live - be that city, countryside or somewhere-in-between - affect our lives? 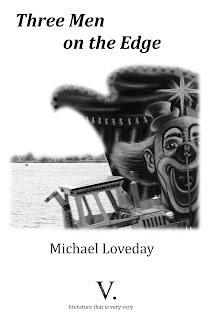 In this blogpost, Michael Loveday shares some 'Edgelands' experiences from growing up, and reveals how this feeds into his new V. Press flash fiction novella Three Men on the Edge. I grew up with a form of identity confusion. My family home was in Northwood, in the former postal county of Middlesex, a region on the Northwest edge of Greater London. “Middlesex” belonged to London. But we had a Hertfordshire phone number. We lived on a quiet street. But 50 yards from a fairly busy main road. If I walked away from my house, in one direction I moved towards the densely-packed suburbs of Greater London; in another direction I could find a series of splendidly landscaped golf courses; another direction took me into the heart of a private housing estate of detached, mostly mock-Tudor properties with large grounds; elsewhere nearby I could walk our Bernese Mountain dog through thick woods into unkempt fields whose ownership seemed unidentified – apparently common, wildmeadow land. In Northwood, we were serviced by the Metropolitan Underground Line. Except it was overground. We called it the train (not “the tube”) - I didn't understand the difference between real trains and my tube-trains until adulthood. Welcome to the identity confusions of the suburbs, where you are neither one thing nor the other. 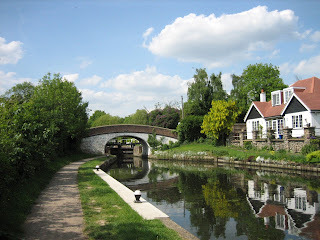 Later, after a few years of moving around, I bought my first flat not far from Northwood, in a commuter town called Rickmansworth, which lay about 3 miles northwest – a couple of stops further out on the Metropolitan Line. Rickmansworth is in a valley where three rivers converge – literally the Three Rivers District of Hertfordshire. They feed the Grand Union Canal as it passes through between London and Birmingham. It also marks the northern beginning of a remarkable series of over 60 (yes, sixty) lakes (former quarry pits – whose extracted gravel was used to build the original Wembley Stadium) that combine to form Colne Valley Park, a zone of managed wildness stretching many miles from Rickmansworth in the north to the Thames in the south, towards Slough in the west, and Heathrow in the east. 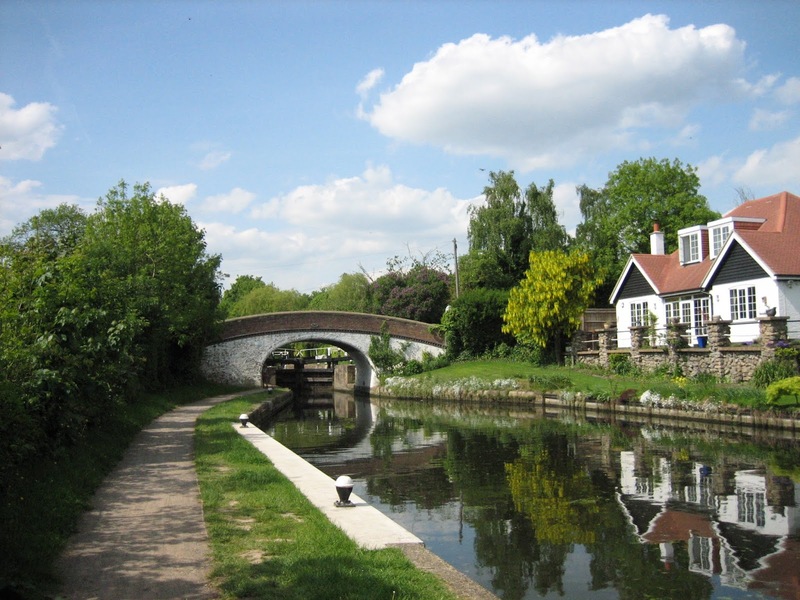 Despite the proximity of all this beautiful, watery countryside, Rickmansworth is densely housed, and expanding – a population of 15,000 in the 2001 census, 24,000 in 2011. I lived in Rickmansworth from 2007 to 2016, and experienced there the strange, unsettling territory of a true “Edgelands”, an experience neither urban nor rural, neither truly London nor the Hertfordshire countryside. I had to start writing about it. In its own low-key way, Rickmansworth can lay claim to all of that. I’m not sure where exactly I first heard the term “Edgelands” but I do know that my first immersion into researching the concept was a book written by poets Paul Farley and Michael Symmons Roberts (Edgelands: Journeys into England’s True Wilderness (2011)) that further opened my eyes and ears to the territory I was living in. I was fascinated by the catalogue of landscape features that Symmons Roberts and Farley identified as classic “Edgelands” elements: landfill, water, pylons, allotments, verges, canals, wasteland, woodlands, hotels, retail parks, industrial estates, golf ranges, airports etc. And I found the descriptions themselves captivating, possessed of an ungainly, mythical beauty: “the fringes of English towns and cities, where urban and rural negotiate and renegotiate their borders…” (p.5), “the hollows and spaces between our carefully-managed wilderness areas and the creeping, flattening effects of global capitalism…” (p.12), “In the A-Zs of major English cities, there are always pages where the circuitry of streets gives way to blank grid squares, peppered with nameless ponds, industrial parks, nurseries and plantations…” (p.20), “seldom visited wastelands bypassed by the flows of commerce and leisure, the landfill sites and blank unnamed pools of dark standing water…” (p.23), “this is a different wildnerness… It has the echoing silence of miles of empty car parks, dark and locked glass offices, pockets of woodland and strips of standing water.” (p.267). Their book was the perfect introduction to the idea of “Edgelands”, and I heartily recommend it. It’s a future classic of landscape writing to be mentioned in the same breath as its acknowledged ancestor The Unofficial Countryside (1973), by Richard Mabey, who pioneered writing about the same kind of geography before anyone else had thought to celebrate it. My book Three Men on the Edge (V. Press, June 2018) took me six and a half years to write, and in it I’ve tried to celebrate the strange hinterland that is Rickmansworth, neither properly the suburbs of a big city nor exactly the countryside. As research, I often went for walks with notebook or camera in hand, documenting the landscape around me and trying to find ways to bring it into the context of my fiction. (I think the people I passed may sometimes have looked at me oddly). Three Men on the Edge attempts to capture the split self of the town as a character in its own right, divided between its canals, lakes, fields and woodlands on the one hand, and its supermarkets, commuter train lines, and busy cafés on the other. The book also has another in-betweenness. It’s very much a literary hybrid: a novella composed of three linked sequences of miniature stories, informed by the techniques of prose poetry. I might suggest with a fair amount of conviction that you won’t have read anything similar before. If you enjoy books that put landscape and environment at the centre, or if you have ever experienced the strange and ambivalent emotions of suburban life, or if you enjoy the “edgelands” of unusual forms of writing, I hope you might find Three Men on the Edge an interesting kind of territory to encounter.